"A herd of black sheep and a herd of white sheep wander and graze in the Great Plains. 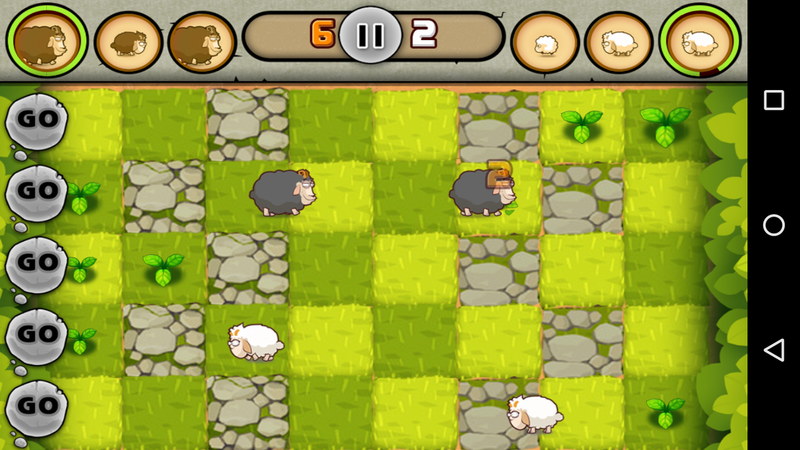 In order to eat the best grass in the grassland, they start a contest to determine which herd will win. 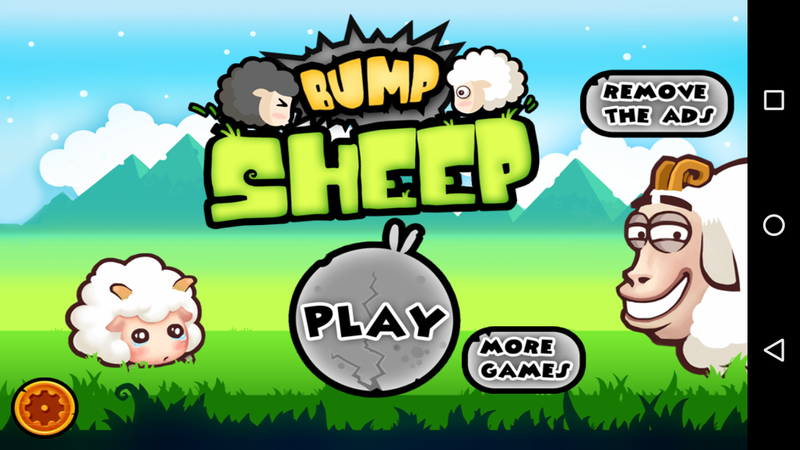 Bump Sheep has a unique mix of good strategy and quick reflex. You can play it in single-player mode against the computer. 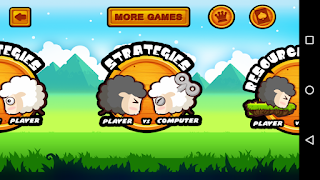 Or yon can play it with your friend in the same device for more fun Bump Sheep is optimized for both phone and tablet,"
Strategies : Fight against computer or player.This is simplest of all,and is in a least entertaining. All you need to do is stop opponent and enter into his side of runway. 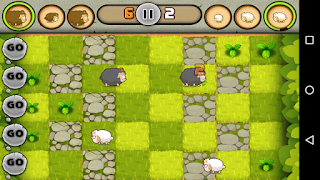 More of your sheep reaches the end of the runway, the more you score..
Resource : This mode also comes with two options,you can play with your friend or computer..I personally am a biased toward this mode,its concept is great and you have option to score more even tho your sheep are weaker than opponent. 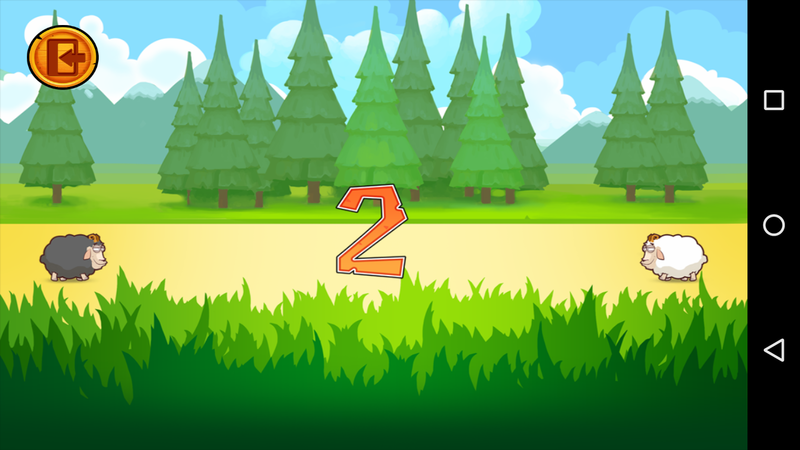 Consume the grass and beat your opponent. 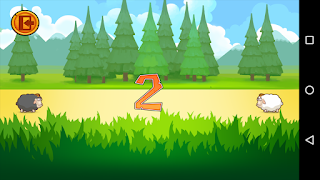 Duel : Ahh... finally this is the coolest mode in bump sheep, the battle of two sheep.When the countdown is over, you need to tap on screen at the right moment to beat your competitor. hit fast and hit hard.. But don't get too excited..it can strike lightning on you !!! 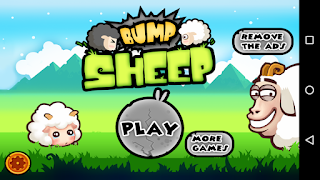 Bump Sheep is decent game which you will enjoy playing with your best buddy. The UI is good and response time is great. 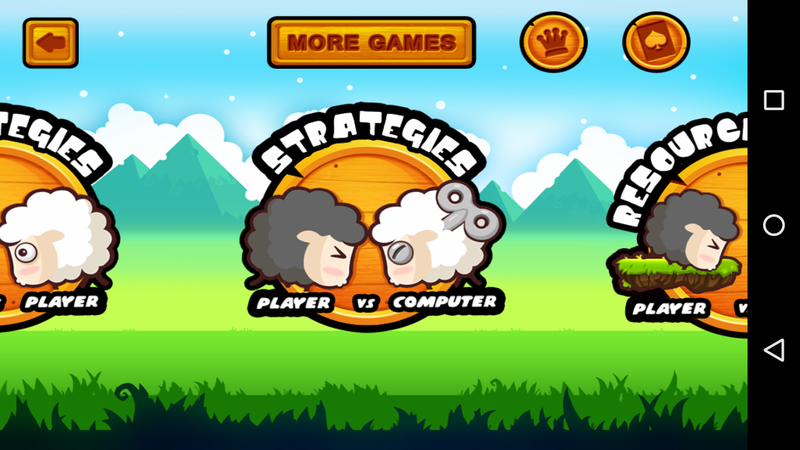 Playing against computer can be bit boring, and here is tip always choose black sheep !! But the saddest part is you can not switch the mode once you start.. If we have to rate it, we will rate it as 7/10..